In the first month of 2012 an order was placed for five EuroRunners by Private Car Train (PCT) from Germany. 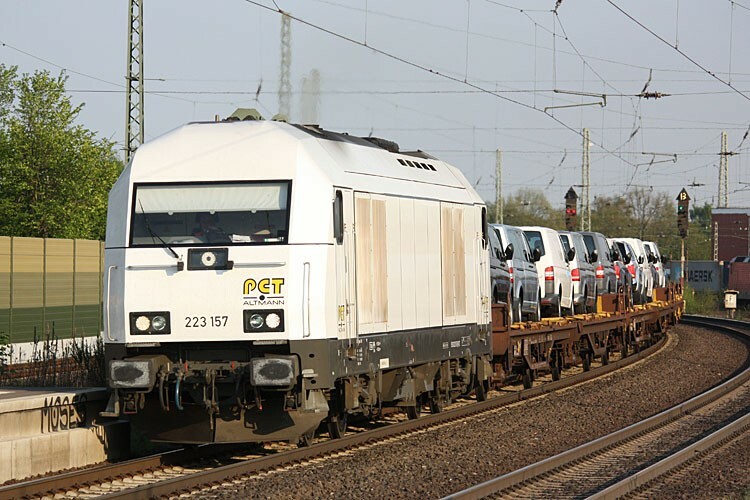 PCT is a private railway operator and is owned by ARS Altmann, which provides logistic solutions for the automotive industry. All locos were assembled as stock locomotives at the Netinera works at Neustrelitz and received the stock locomotive white livery. Later on all the PCT EuroRunners received small PCT logos, but the base white livery remained unchanged. An interesting fact is that the first three locomotives (223 153 - 155) were delivered within a month and the remaining two within two months. 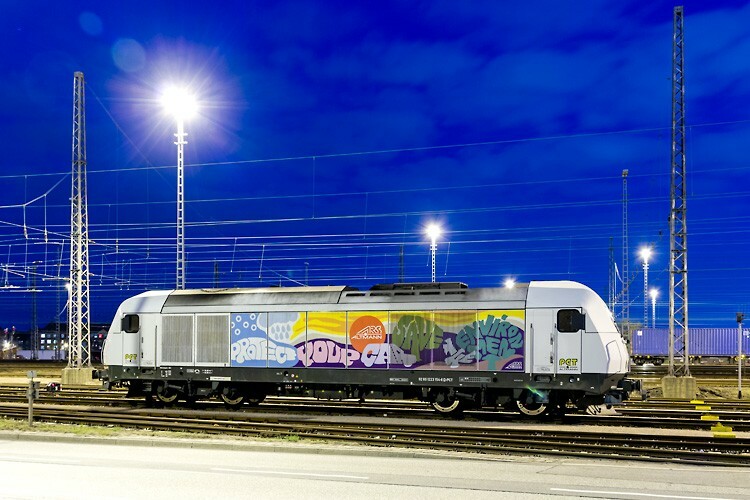 This shows that building locomotives on stock enables Siemens to deliver on very short notice.